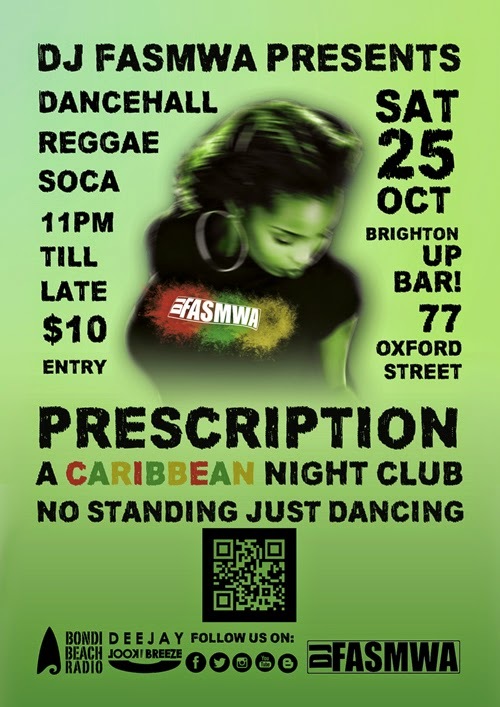 Prescription Night club is a Caribbean Night Club, in Sydney, run by Caribbean people to deliver a authentic Caribbean experience! We hope to see you in 2015 and join in as we dance to some of the latest tunes the Caribbean has to offer. For now we are on holidays! If you are in the Caribbean at the moment and want to hit me up feel free to email myself DJ FASMWA fasmwa@gmail.com as I will be on the road for Carnival. Happy Holidays to you and yours! Be safe and stay blessed! LIVE PERFORMANCE by Errol Renaud (Caribbean Soul) & LIVE Rhythm (Riddim) Section. 10.30pm-late / $10 / 18+ ID req. 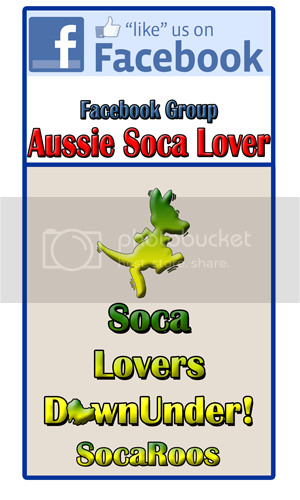 Playing Soca, Dancehall, Roots Reggae, Lovers Rock! ➤ Plus live performance by FREE IT UP dance crew! $5 beer, Bar also sell's Appleton Rum! Saturday 21st of June 2014 | one of Sydney’s premier Caribbean events “PRESCRIPTION” will be hosting one of Sydney’s legendary Caribbean artists, Errol Renaud (Caribbean Soul) who has over 30 years musical experience. As a professional musician he will have the pleasure of introducing what is a first for Sydney,an authentic Caribbean style rhythm section, commonly pronounced amongst people from the Caribbean as ‘Riddim’ Section. You can expect a jaw dropping experience, an infectious rhythm that will have you pulsating your hips to the Caribbean beat, accompanied by the voice of Errol Renaud. It will be one not to be missed. In addition, DJ Fasmwa who apprenticed with Emperor Chin back in the SPINDMUSIC glory days, has taken over the mantle and is now leading the charge with respect to Caribbean music and culture in Sydney. Prescription is his latest offering. Alternate Saturdays you will find him on Bondi beach radio and in the club. 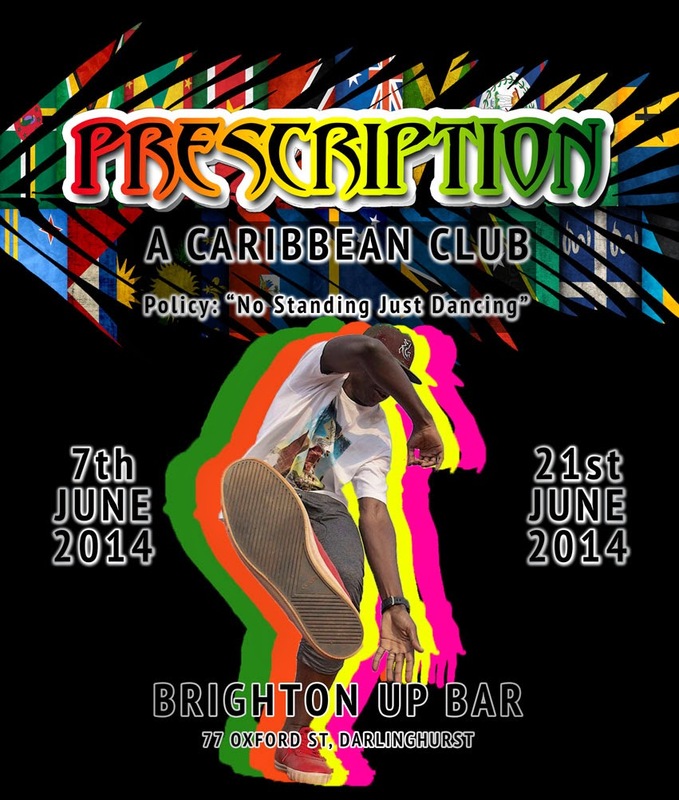 Prescription is "NO STANDING JUST DANCING"
DJ Fasmwa will be powering the music as per usual. along side friends!!!! SO it is pure party party party. 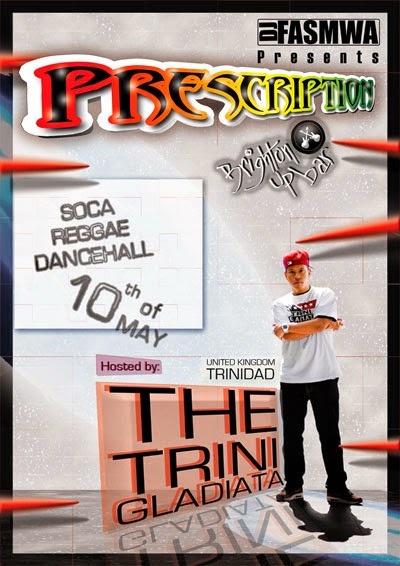 This edition we have an I'nt guest who goes by the name of "THE TRINI GLADIATA" Who will be hosting this event. 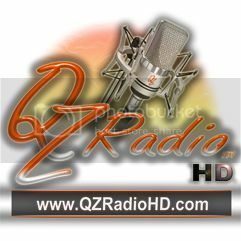 We have a smooth mix of old and new tunes. Make sure you reach - bring a friend feel free to invite your friends to this facebook event. (Disclaimer: I am not looking for more friends to promote to - I am looking to make Sydney siders party more "so invite invite invite"). 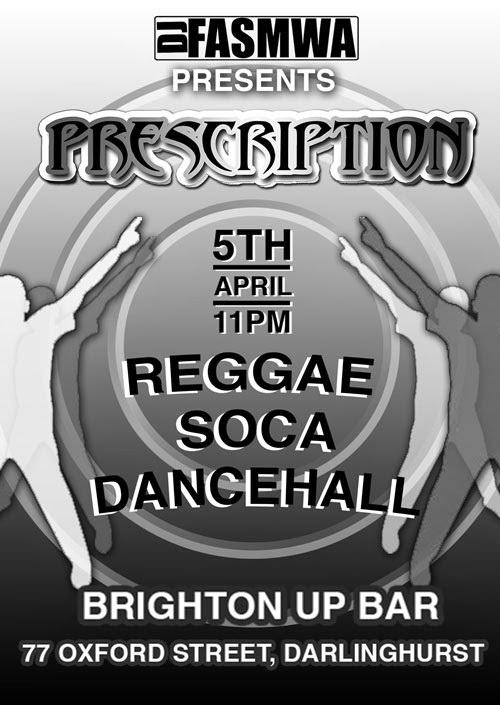 We have the infamous rule @ Prescription is "NO STANDING JUST DANCING"
We have Soca from the this years Trinidadian Carnival "Look out for new chunes"
Also featuring some new Dancehall tracks and also your favourite oldies! Mauritian Independence Special on 2 LEVELS! LIVE PERFORMANCE by JAMINO & GROUP LAFAYA! 9pm-late / $15 / 18+ ID req. Complimentary SOCA & ZOUK dance class @ 9pm! INBOX US for more info. Which of these Soca Artist is underrated?